If you want to get One Grip Higher today, try to be like Nike! Doug Reeves, an award winning author and educational consultant suggests that what you do is less important then the depth with which you do it. He calls this “deep implementation.” In what areas of your life are you pushing deep implementation? The problem is that we don’t like repetition. We like new and different. But effectiveness and influence is almost always birthed out of repetitive implementation of what works. Practical Suggestion: Right now, think of one thing that you have done recently that was simple and effective… stop what you are doing and do it again. This might be reviving a to-do-list, writing a “thinking of you” card, emailing your boss an appreciation, re-reading a great book. If something works, don’t just reflect on it… do it again and you will find yourself One Grip Higher! some literally nice and utilitarian facts on this internet site , likewise I believe the style has got superb features. I love this post. Very well written. Where did you find this shirt i want to buy it! 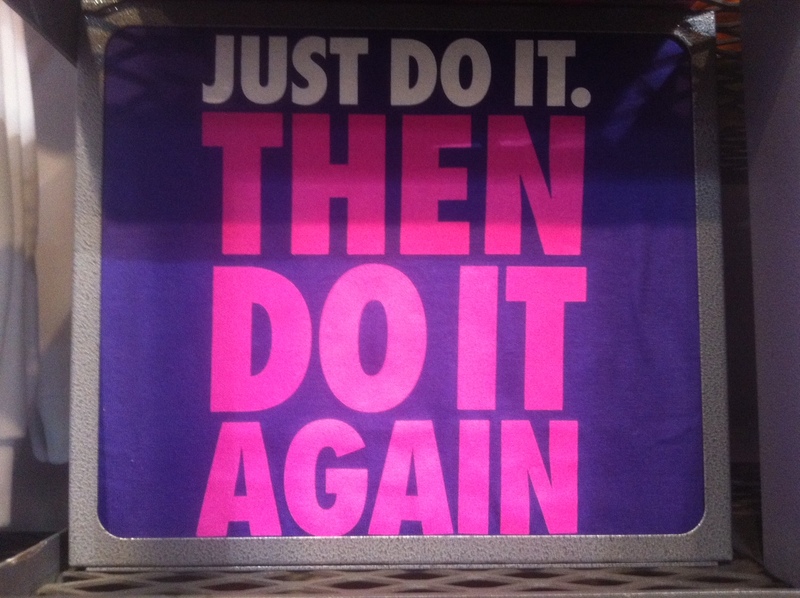 I saw the shirt in a Nike Outlet in Niagara Falls Canada about a year ago! One Grip Higher: You Had an Interview Today!